Romantic February calls for new colorways and a new pattern in Ivy Brambles Romantica Yarn! 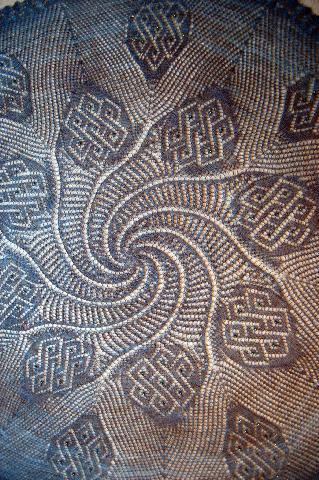 We have a new hot shawl in stock which is very, very cool..... introducing the new and amazingly beautiful Spiral Celtic Knot Shawl! 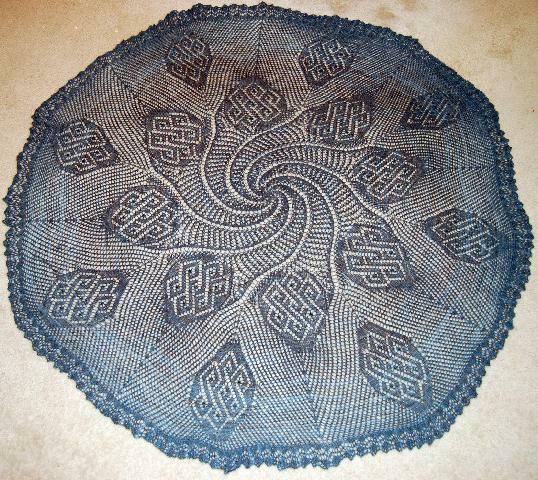 The Spiral Celtic Knit Shawl is a beautiful, 60-inch circular shawl which features Celtic knots radiating from a spiraling whirlpool. This fast knitting shawl is lightweight yet warm and knit with just two skeins of Ivy Brambles Romantica Lace Yarn which is hand-dyed in a variety of semi-solid and variegated shades. Romantica Yarn is superwash, extrafine merino wool providing you with both a supersoft fabric to wear as well as an easy care garment. Optional beading instructions are included for this shawl for easy bead attachment without pre-stringing - an easy way to add a little extra sparkle to this amazing shawl. 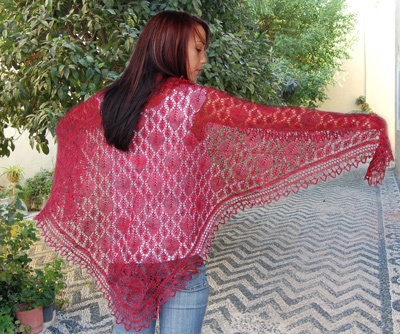 New colorways of Romantica Yarn have been added and all colorways are in stock! 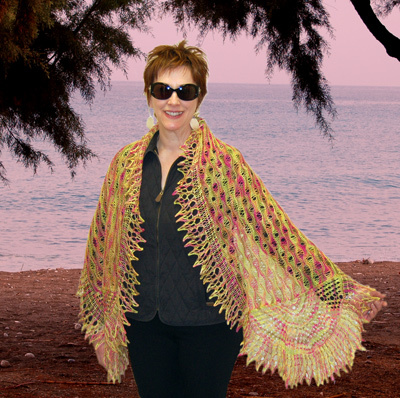 Favorites patterns using this yarn are still available - Halo Pave Shawl sets diamonds surrounded in diamonds and the beautiful Sunrise at the Beach Scarf/Shawl pattern features an amazing sunburst at each end! Autumn Flame fires up the Halo Pave Shawl while any of the new variegated colors will sizzle in Sunrise at the Beach! New yarn arriving for February is Prisms Hand-dyed Merino Mia! Merino Mia is wonderful Superwash Merino Wool that knits to a 24-26 sts over 4 inches at 190 yards per 50 grams. 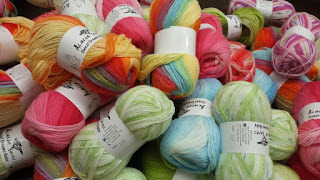 We are thrilled to be adding Prisms Merino Mia to our available yarns and can't wait to start working with it! Merino Mia yarn will be added to our inventory as it arrives but special orders can be placed for this yarn as well as all the Prism yarns! Enjoy, Have a Great Day and Happy Fibering!